ABOUT: The story of Henry Hill and his life in the mob, covering his relationship with his wife Karen Hill and his mob partners Jimmy Conway and Tommy DeVito in the Italian-American crime syndicate. LIVE MUSIC: Visit www.streetfoodcinema.com/goodfellas/ for the most current Live Music listing! 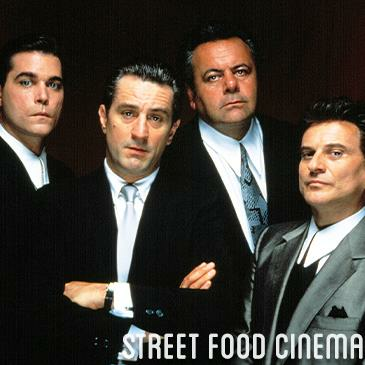 FOOD TRUCKS: Visit www.streetfoodcinema.com/goodfellas/ for the most current Food Truck listing! PARKING: Suggested lot next to park $15. Rates subject to change. Lot not owned or operated by SFC.